This title was first published in 2001. In the Nordic countries women are considered equal to men. Advanced social and economic rights are often given as the explanation for the equality. In this volume, Nordic feminist legal scholars give a more contradictory image of gender equality. The gendered construction of the legal subject and the legal understanding of gender have a two-pronged potential, both to change and to reproduce gender relations. 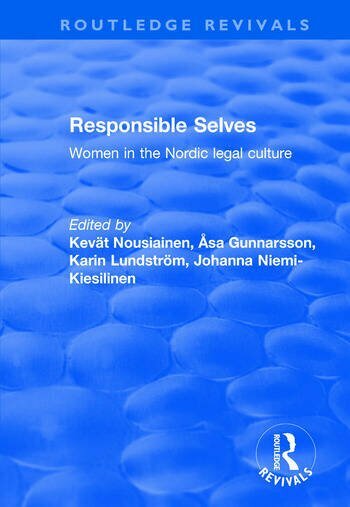 Nordic women have been considered responsible for upholding the gendered social system - as "responsible selves" rather than as individuals engaged in rights discourse. The authors claim, with examples, that the belief in equality has made certain discriminative practices difficult to recognize and conceptualize. Also a transformation of the social welfare system puts the collective equality policies to the test.